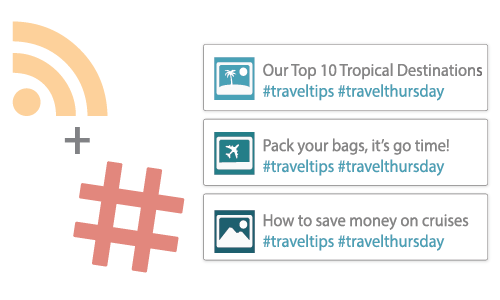 Increase visibility and drive conversions with hashtags on all your posts. Effortlessly include relevant high-performance hashtags in every post. Add hashtags once. See them in every post. Search Your Blog. Share Your Best Posts. Connect your content feed to dlvr.it. Then add hashtags relevant to your content. When we post new items, we'll automatically include your hashtags. It's that easy! 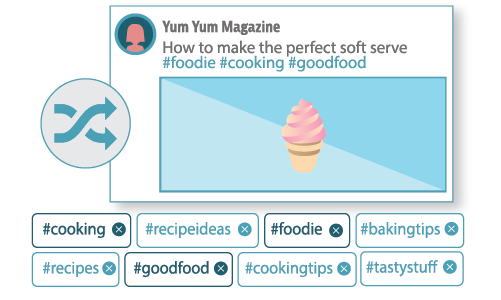 Add your relevant, top performing hashtags when you set up your feed. When we share new content on social media, we’ll include all of these hashtags with every post. 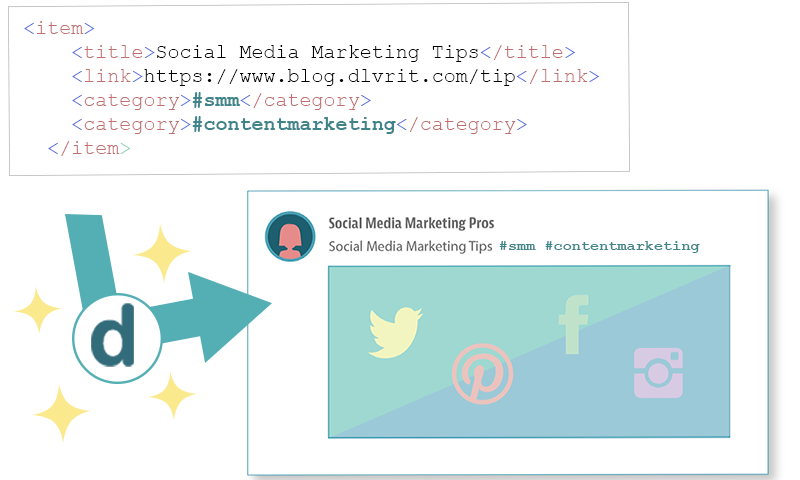 Create a pool of relevant hashtags and we’ll dynamically generate a set tags for each post. Drive traffic from a wide variety of top performing hashtags, while keeping your posts fresh. 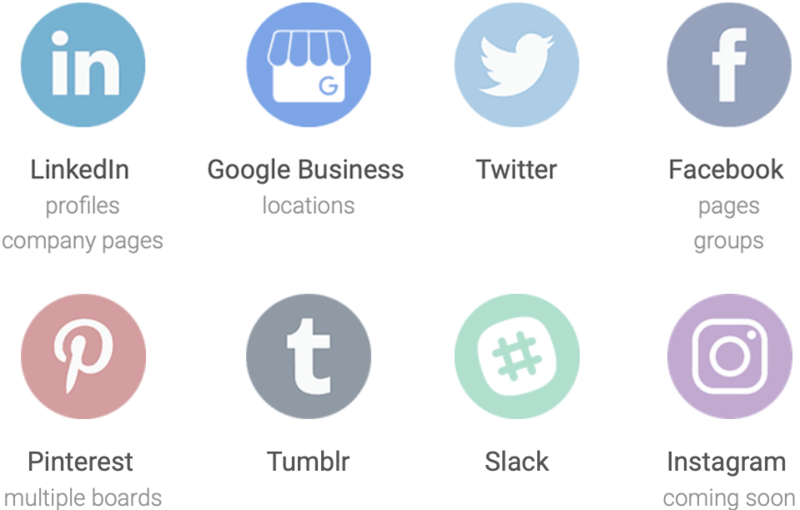 We’ll scan your feed or page for tags and automatically include relevant, targeted hashtags with each post. Increasing exposure and traffic has never been easier!